VANCOUVER, BC – With the flow of fresh-hopped beers increasing to a near deluge this year, it’s become harder for Canadian breweries to make their particular offering stand out from the crowd, but Parallel 49 seems to be aiming to do just that with their newest release. 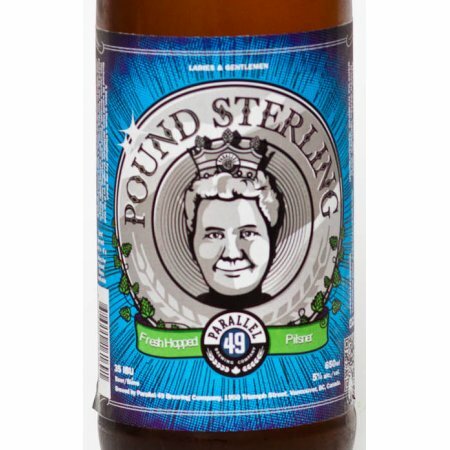 Pound Sterling is available now in 650 ml bottles at the Parallel 49 retail store and select liquor stores in British Columbia. Hasn’t this been available already for a few weeks? The brewery announcement was made quite some time ago.